Email has been with us for 20 years now, but we can still improve the way we use it with a few easy tips. it’s easier to get back to discussed topics after a long time. Tips mentioned in the article result from my experience gained when working with the LiveChat team. Thankfully, all of us understand that writing proper emails is important. It helps us work more efficiently and, as a result, build a better product. A discussion over email can last for many days. Even if you remember what the “New app update” subject means on the first day, getting back to this topic after a month will require reading the whole thread again. With lots of emails in your inbox, it’s easy to miss an important message that is addressed particularly to you. I suggest sending the message only to the interested parties and not everyone from a particular department (such as sales@yourcompany.com). It won’t distract people that don’t need to be engaged in the conversation. I’ve just published the new version of our website. It includes new graphics and improved typography. However, I’ve noticed a few glitches. @Jacob, could you please fix the typo in the second paragraph? @Michael, icons are not retina-ready. Needs fixing asap. In the example above, all people are notified about the recent website update, but Jacob and Michael also know they’re responsible for replying to particular questions. It keeps the communication solid and simple. If you mention a website or an online product in your email, consider including a URL the recipients can immediately open. Otherwise, they will need to look up the URL themselves. So instead of making 5 people look for a link, you can have it ready for them. I’ve noticed that our web application has some serious problems when loading user’s profile. Could anyone please check on that? I’ve noticed that our web application has some serious problems when loading user’s profile (http://myapp.com/user/edit). People rarely read the whole email. Instead, they skim the message to know if they need to take any action. Highlight major notes to help them skim emails faster. People don’t read emails word by word. Instead, they skim the message to know if they need to take any action. Highlight major notes to help them skim emails faster. The key findings are now properly emphasized and easier to spot. What’s the easiest way to improve the readability of your emails? Press the ENTER button twice. The project doesn’t go well and I thought we should meet to discuss the problems. Jonathan is on holidays this week, so we should wait till his return. How about a short meeting on Tuesday at 2pm? The conference room will be available all day so we’ll have enough space to a quick brainstorming. Once again, the message stays the same but is easier to go through, which makes all the difference. Don’t be surprised when nobody answers question pasted somewhere in the middle of your message. People tend to overlook them. The good practice is to move all questions at the end of your email. This will form your thoughts in an easy to grasp way: first you explain the problem, and then ask necessary questions that should be replied by the recipient. We waste too much time writing emails everyday. The best way we can fix this is to reduce the number of sent messages. Figuring out how to do it may be challenging, but it’s worth it. The next step is to improve the quality of the emails we send. 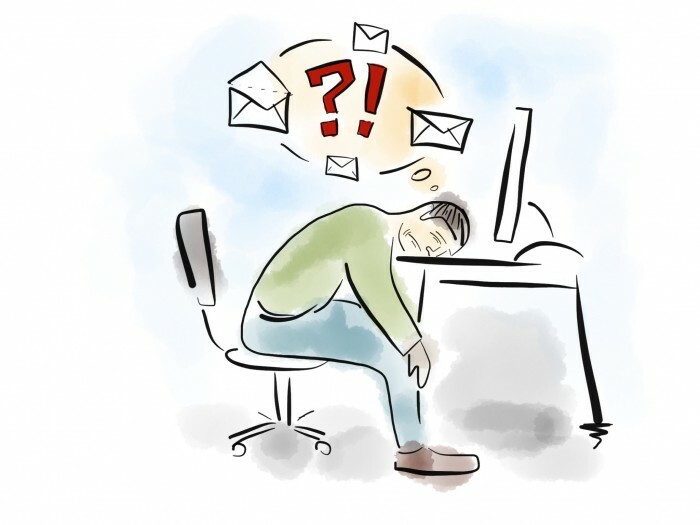 Well-written emails allow you to avoid misunderstandings within your team. They may also ignite precious discussions that would not take place otherwise. Email tips mentioned in this post are not the only thing you can do to improve your communication. Product teams often use other tools apart from email, such as a real-time messaging app Slack. One thing is certain for sure: time invested in improving team communication is time well spent.